Pillar rocks in Kodaikanal are a natural rock formation that look like pillars and is one of the major attractions in the hill station. September 2018. Thalaiyar falls in Theni district of Tamil Nadu is also sometimes referred as Rat Tail falls as the cascading falls looks like the tail of a rat from a distance. It is the highest waterfalls in Tamil Nadu and one can get a view of the same from the ghat road that connects Dindigul with Kodaikanal. While access to the base of the falls in denied, there is a tough trek that leads to the top of the falls. It was almost the end of Neelakurinji season in September end when I headed to Kodaikanal to catch a glimpse of Strobilanthes Kunthianus (Kurinji or Neelakurinji) . While the Neelakurinji that had bloomed below the Coaker's walk area had died, the locals were helpful enough to guide me to Vilpatti, a few kilometers from the town. The flowers were in their full bloom in Vilpatti. Neelakurinji season has come to an end almost everywhere except Munnar where it would still be visible for a few more days. Rush now or else wait until 2030 when it is expected to bloom again. Here are a few frames from Vilpatti, Kodaikanal. Consecrated in the year 1997, Putra mosque with its pink dome and minaret is located adjacent to Putra lake and Perdana Putra, the Malaysian Prime Minster's office. Modelled on Persian Islamic design, the mosque has exquisite intricate carvings and floral works on the pink granite walls and ceiling of its prayer hall. The colourful painted glass windows are another eye catcher here. Putrajaya, the administrative capital of Malaysia is lined with beautiful lakes and lush greenery. These photographs were taken during my visit to Kuala Lumpur in September 2018, courtesy Malaysia Tourism. 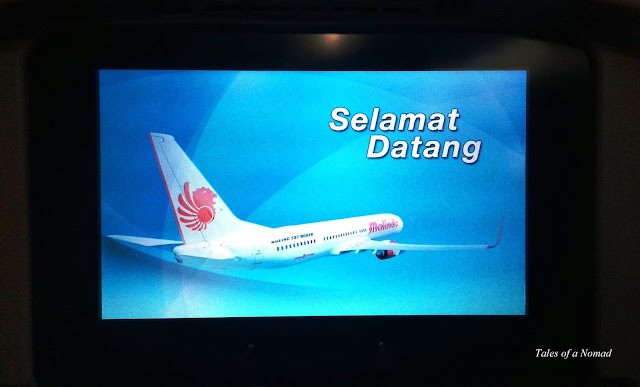 When I first heard the name Malindo, it made me curious and a check revealed that the name was derived from Malaysia and Indonesia, signifying the friendliness and pacts both the countries share. Owned by the Indonesian Lion Air group, Malindo Air, which is a low cost airline has its hubs in Kuala Lumpur and Penang. It commenced its operations in 2013 and they now connect to 55 destinations across the globe, but majorly across Asia. 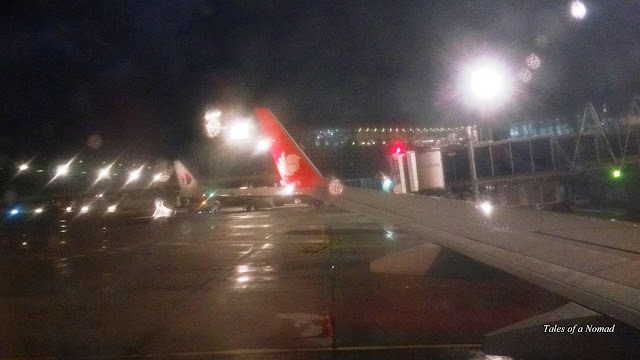 I recently had the opportunity to travel with Malindo Air from Bangalore to Kuala Lumpur and back. Online check-in is the preferred option these days and Malindo Air too offers that option to avoid standing in long queues at the airport. The flight also allows a check-in baggage of up to 25 Kgs weight for economy class and up to 40 Kgs for business class flyers. They allow one cabin baggage and one laptop bag. While I didn’t get a chance to experience business class, economy class was a nice experience. 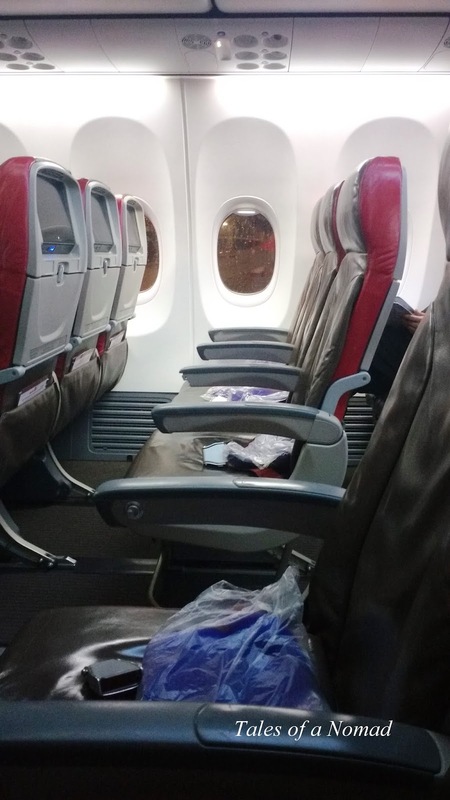 The seat was comfortable with a good leg room and sufficient space for cabin baggage. 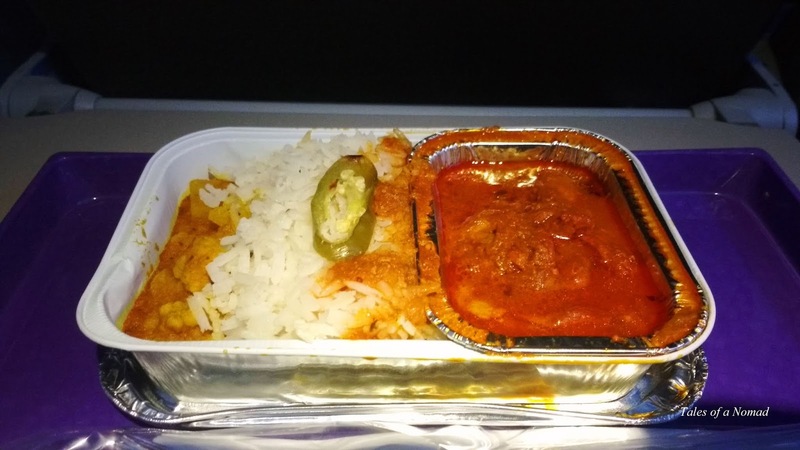 Though Malindo doesn’t serve alcohol, they served an Indian dinner (probably because the flight was from India) and it was satiating. The in-flight entertainment options are aplenty with English, Hindi and Indian regional movies apart from games. Plugged on the ear heads and enjoyed myself wrapped in comfortable blankets. The services provided are quite good for a low cost airline and both my flights were well on time. I would definitely suggest Malindo Air to anyone who intends to travel on a low cost airline from India to Kuala Lumpur or any of the destinations to which they operate. P.S. : I flew to Kuala Lumpur and back, courtesy Malindo Air and Tourism Malaysia. True to its name, Genting Highlands located up in the high land takes you through mist and over rain forests to a world where fun, entertainment and amazing experiences awaits you. 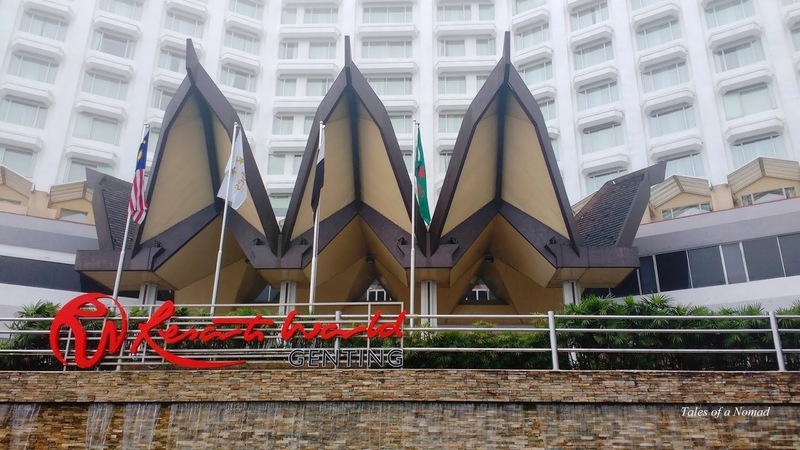 Genting Highlands which was recently renamed as Resorts World Genting (RWG) has been one of the major tourist attractions near Kuala Lumpur for a long period. The first hotel opened in 1971, and over the years the place has turned into a small city with 10,000 hotel rooms presently. This mountain top destination is known for its theme parks, shopping avenues, casinos, hotels and restaurants. With more than 60,000 visitors per day, Resorts World Genting also keeps bringing in new additions and changes, and the latest to the list are the new Awana Sky Gondola system, Sky Avenue shopping mall and a host of global brands. 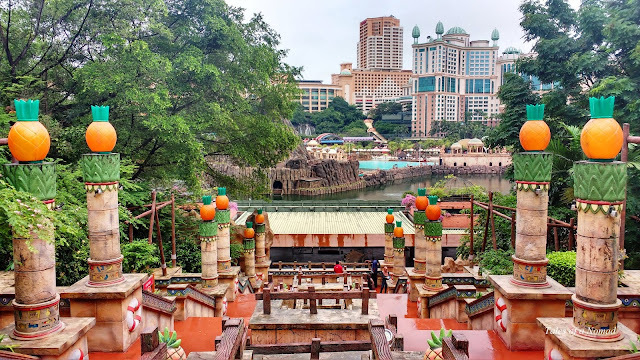 While there is no end to entertainment and activities in Resorts World Genting, personally for me some of the experiences were absolutely amazing. This cable car ride takes you from the base to the top of the hill covering three and a half kilometers in just 10 minutes. Awana SkyWay cable car ride is one of the latest additions in RWG and the ride through the mist with amazing aerial views of the lush green forests, the meandering roads and the surrounding hills is a lovely experience. The gorgeous view of the mist clad Chin Swee temple is another attraction on the way up. There is also a station at this temple if visitors would like to alight and visit. This is an interesting experience for kids as well as adults. There are numerous giant sized dinosaurs which are machine controlled and make movements, noises and look real. The centre also has a fossil laboratory which is a great insight regarding the extinct species. This entertaining museum has weird displays and quirky information from world over. The information and photographs shared could well be eye openers for many visitors. Most of it is quite unbelievable and the name- Odditorium definitely sounds apt. If you love art, this museum will definitely win you over. This has innumerable four dimensional arts all over the place. It is a walk through a magnificent display of illusions and incredible art work. As you walk around Sky Avenue, don’t be surprised when the central atrium suddenly turns into a theatre of visual story telling. The extraordinary show of lights and sounds showcases a visual and motion graphics programming with a spectacular orchestra of audio. The visuals are beautiful and the suspended balls which are 1000 in numbers further add to the charm of this spellbinding experience. There are three stories and there is a show every one hour. While the brand outlets may take a major share of your time at Sky Avenue, the long list of dining options are sure to leave both your tummy and mind satiated. 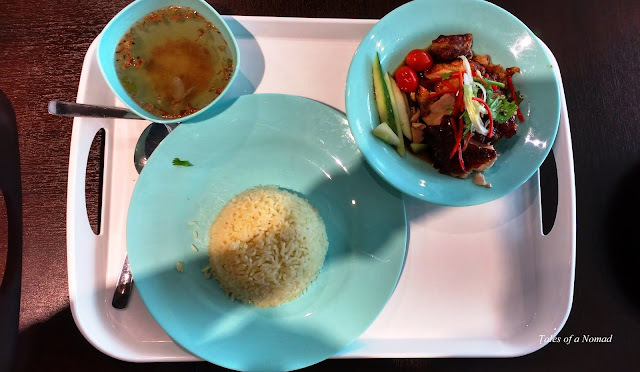 The numerous restaurants and food courts serve a wide range of cuisines from Oriental to Malay to continental and much more. There are also cafes, ice cream shops and pizzerias. The popular outlets are Burger & Lobster London, Cafe’s Richard brasserie, Motorino pizzeria, Tampopo, Morganfield’s, Paradise Dynasty, Jom Makan street food etc. 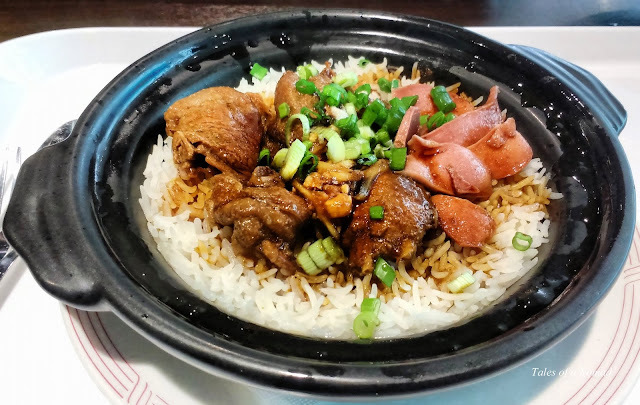 I had a delicious Nasi Ayam Claypot from Jom Makan food court. P.S. : I had visited Resorts World Genting on an invitation from Malaysia Tourism board, but the opinions are completely mine. While travelling across Malaysia and especially Kuala Lumpur it easily catches ones attention that the country and its tourism board focuses a lot on entertainment parks. 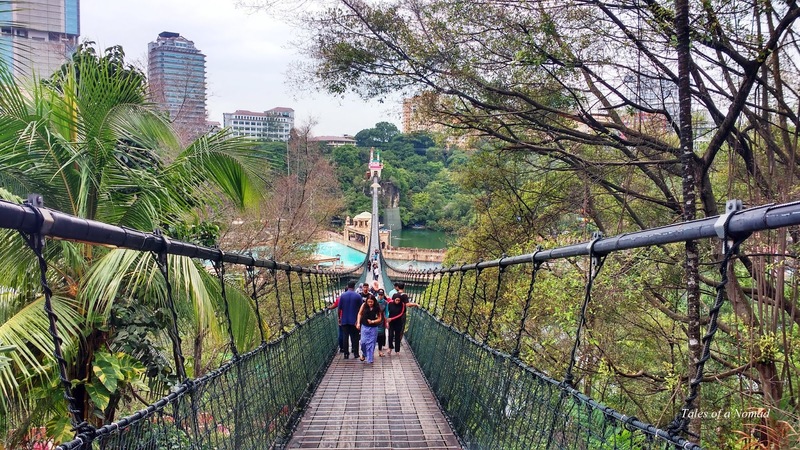 It probably is due to the fact that both Malaysians and tourists love such parks. 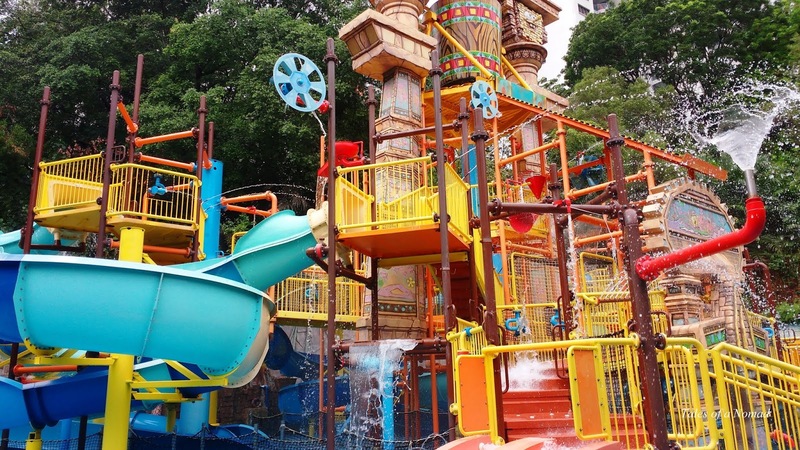 Now, who wouldn’t love places where you can have fun, challenge your fears and play in the waters the whole day? There are amusement parks, water theme parks, adventure parks and wildlife parks which serves these purposes. How awesome would it be if you had six different entertainment parks in the same premise? 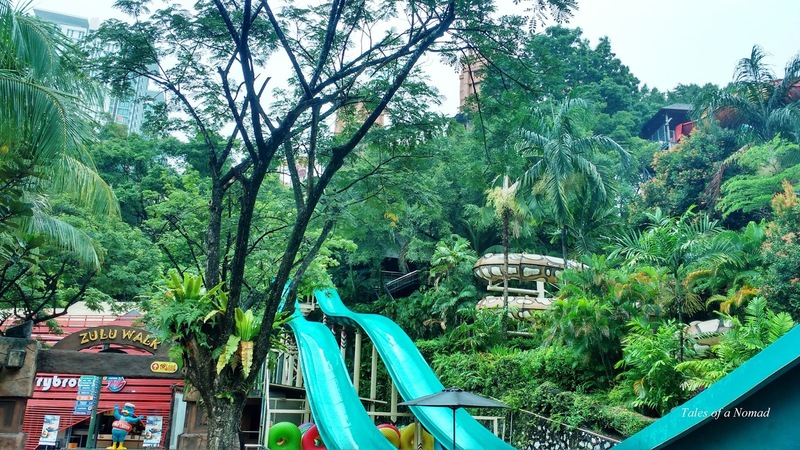 If that is how you would like to spend your memorable holiday in Malaysia, then look no further than Sunway Lagoon, just 30 minutes away from Kuala Lumpur. 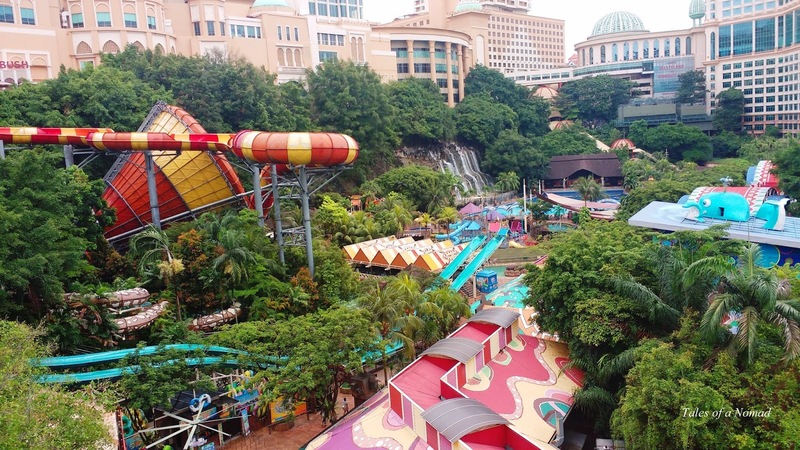 Spread over 88 acres, Sunway Lagoon is one of a kind with over 90 rides spread across six parks- Water park, Amusement park, Extreme park, Wildlife park, Scream park and Nickelodeon themed park- Lost Lagoon. The Nickelodeon themed attraction is the first of its kind in Asia. It also houses the country’s first waterplex 5D and many other rides and adventures which too were introduced the first time here. While the place offers a whale of time with unending rides for the kids, it is fun time with friends for the youngsters and a walk back to their younger days and childhood for the adults. That’s what Sunway Lagoon offers and it stands true to its tagline- Multitude of fun in one single destination. Sunway Lagoon is also a concert and events venue hosting international shows capable of accommodating upto 70,000 people. 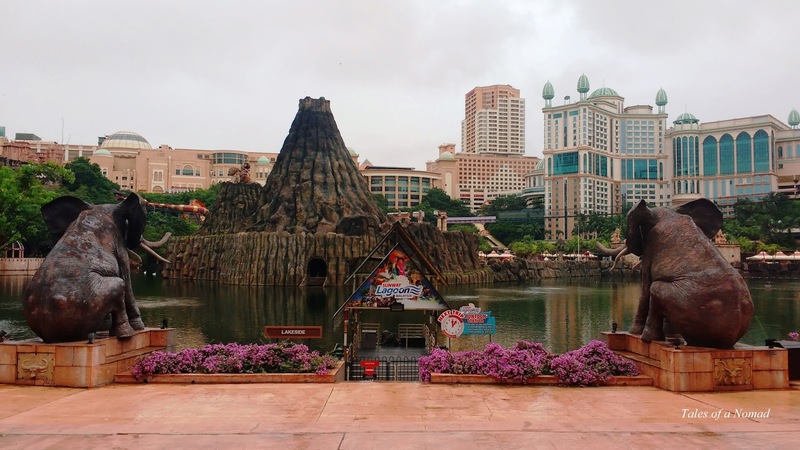 This entertainment park has also won numerous awards over the years and has been named ‘Asia’s Best Attraction’ by International Association of Amusement Parks and Attractions (IAAPA) from 2007-10. 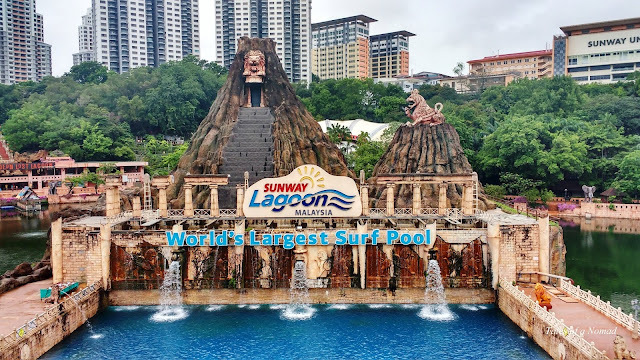 Sunway Lagoon is a part of Sunway city which is spread over 800 acres and has an array of attractions and facilities with shopping malls, hotels, restaurants, healthcare, educational institutions and much more. 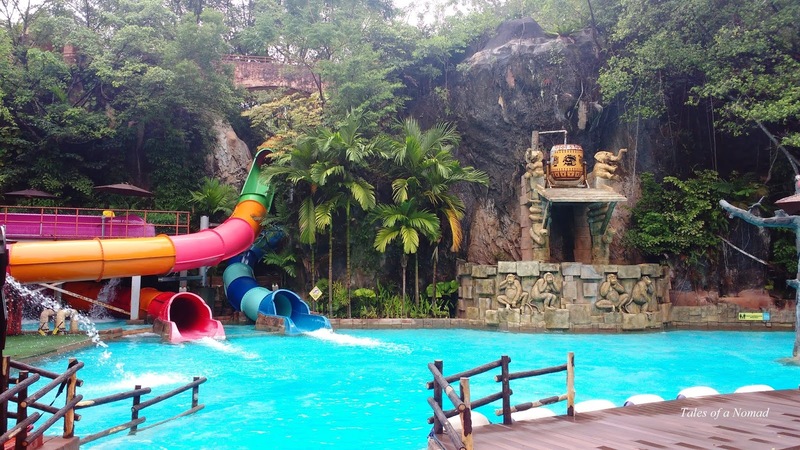 Nickelodeon Lost Lagoon which is a kid’s favourite spans over 10 acres shrouded by rainforests. This wet adventure has colossal water rides, resting spots, walkways and a rich flora. The popular rides here are Sponge Bob Square Pants, Dora the Explorer, Teenage Mutant Ninja Turtles, Splish Splash, Cobra Creek, Crocodile Gully, Monsoon 360, Kubarango, and Hippo Valley. Water Park has two themes- Waters of Africa and Surf Beach. Waters of Africa has numerous slides such as African Pythons, Cameroon Climb, Congo Challenge etc. 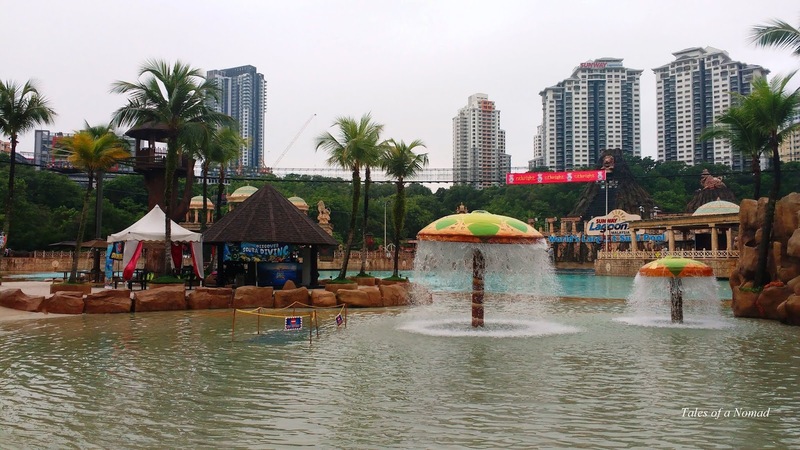 Waterplex 5D and Vuvuzela, the largest water ride in Malaysia are the other attractions here. It also has a wave pool spread over 5 acres and a wading pool for kids. The Surf Beach here is the largest man made one in Malaysia and can create waves up to a height of six meters. Flow Rider- a surf stimulator and Discover Scuba diving are some of the other highlights here. Amusement Park too has two themes- Wild Wild West and World of Adventure. Wild Wild West offers an old Western cowboy town experience with its attractions such as Colorado Splash, Butch Cassidy Trail and Grand Canyon River Rapids. World of Adventure has adventurous rides such as Apache Pots, Pirate’s Revenge, Lost City of Gold Scream Coaster, Carousel, Wagon Wheel etc. The suspension bridge which spans over 428 meters offers lovely aerial views of Sunway Lagoon. The Wildlife Park has more than 150 exotic species of animals and birds. The park offers an interactive session for the guests with the inmates and also has a wildlife animal show. Extreme Park is for the guests who enjoy adrenaline pumping activities. 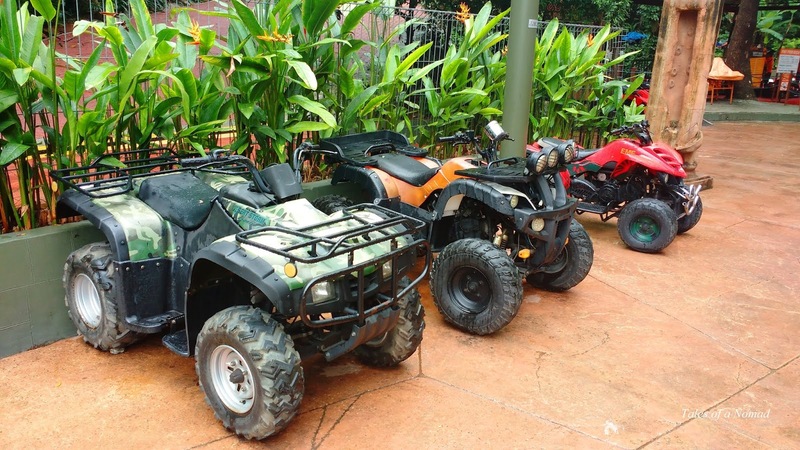 The park offers bungee jumping, flying fox, go karting, all terrain vehicles, archery, mountain biking, paintball shooting and G-Force X. If spooky and scary experiences are what excite you, Scream Park is the place to head to. The experiences such as Zombie Apocalypse, Pocong vs Pontianak, Horrorwood Studios and the Ghostbusters Adventure are sure to give some chills down your spine. 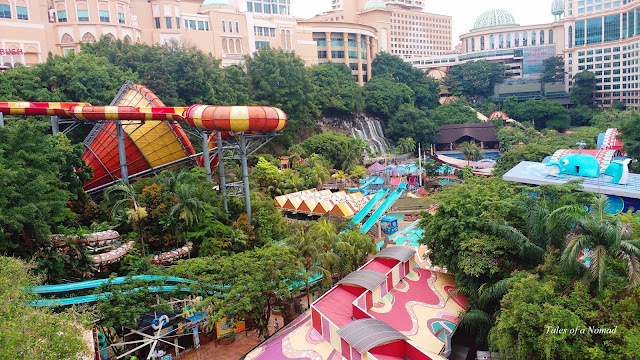 Sunway Lagoon offers a lot of fun, excitement and adventure for people of all ages and for both locals as well as tourists. There are also numerous food courts and cafes to rejuvenate yourself amidst all the adventure. The place has some exciting promotional offers on tickets which can be checked here. If you book tickets online, the second day’s tickets are available at 50% while buying a 2 day pass. The park remains open from 10 AM to 6 PM every day. P.S. 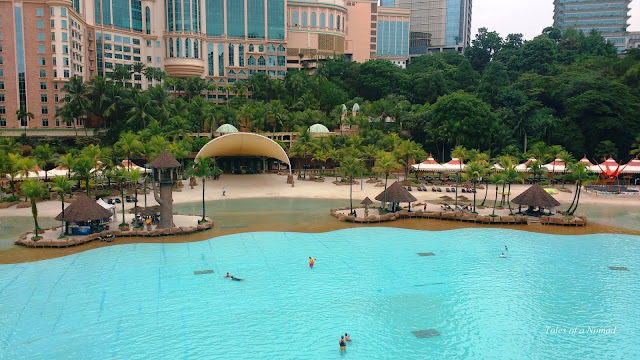 : I was in Sunway Lagoon on an invitation from Malaysia Tourism board, but opinions are all mine.